Copy number variations (CNVs) have been linked to several human neuropsychiatric conditions, including schizophrenia, epilepsy, and autistic spectrum disorders. How can you apply this insight to uncovering the underlying mechanisms of these conditions and developing effective treatments? 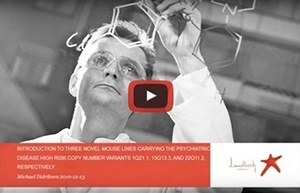 This webinar discusses the role of CNVs in disorders of cognitive development and how CNV mouse models support investigation of unsolved mysteries in psychiatric disease. 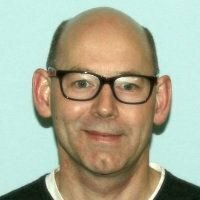 Dr. Michael Didriksen, Lead Scientist at H. Lundbeck A/S, leads and coordinates preclinical schizophrenia and psychosis research projects focusing on bridging preclinical and clinical schizophrenia and psychosis science. Dr. Didriksen will introduce three novel CNV mouse models carrying high-risk copy number variants 1q21.1, 15q13.3, and 22q11.2, which are all associated with increased risk of developing neuropsychiatric disease. Using CNV mouse models to screen drug candidates for treating schizophrenia, autism spectrum disorders, epilepsy, and other neuropsychiatric disorders. Phenotypic study data and neurological assessments supporting these models. Unique aspects of schizophrenia-related biology represented by these three mouse models, despite carrying risk variants for overlapping syndromes. How to use mouse models of neuropsychiatric disease to explore the underlying mechanisms of various disorders, such as fast-spiking interneuron function or the elevated striatal dopamine synthesis and release capacity of hyperdopaminergic schizophrenia. Considerations related to these mice as disease-liability models, including data illustrating a benign phenotype in a carrier of a high risk genetic variant.